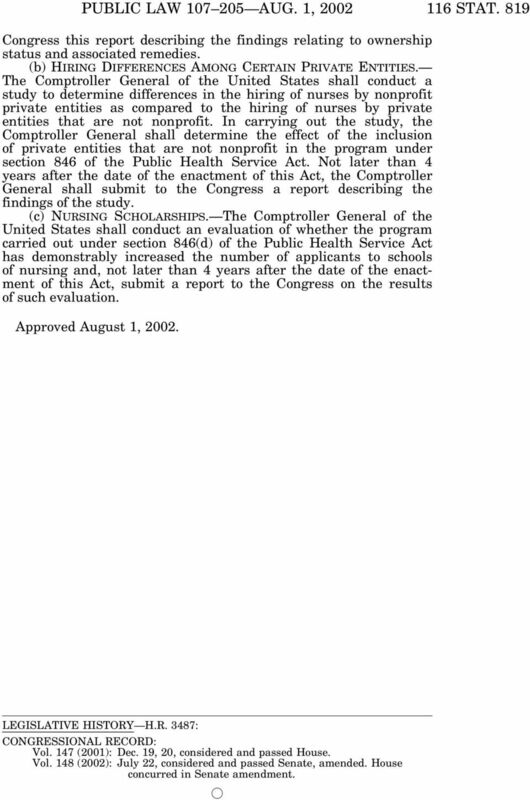 Download "TITLE I NURSE RECRUITMENT"
PUBLIC LAW 106 129 DEC. 6, 1999 113 STAT. 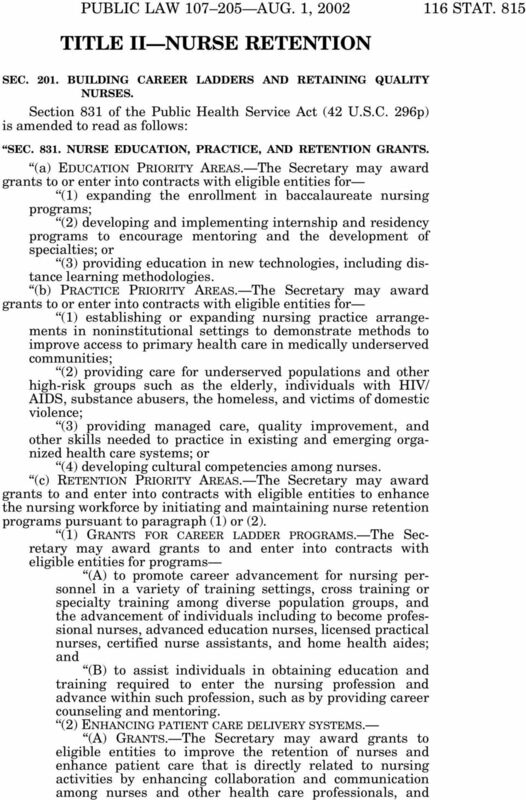 1653 Public Law 106 129 106th Congress An Act To amend title IX of the Public Health Service Act to revise and extend the Agency for Healthcare Policy and Research. 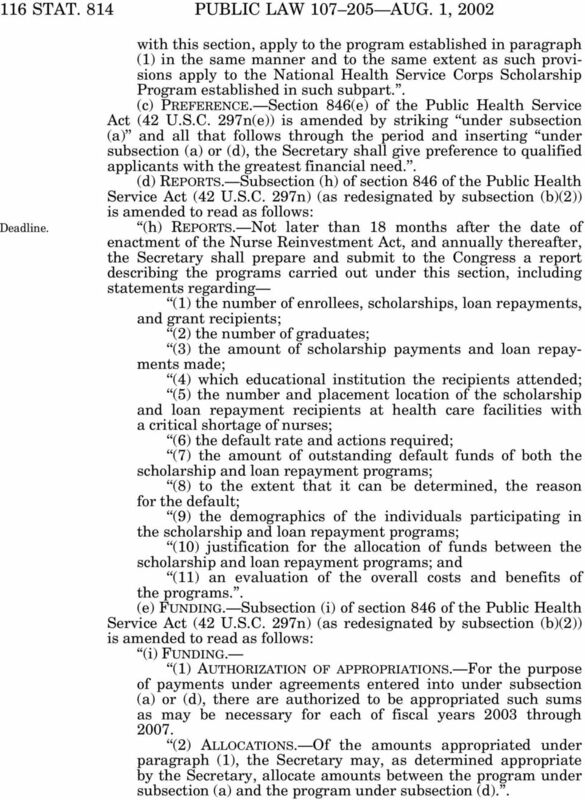 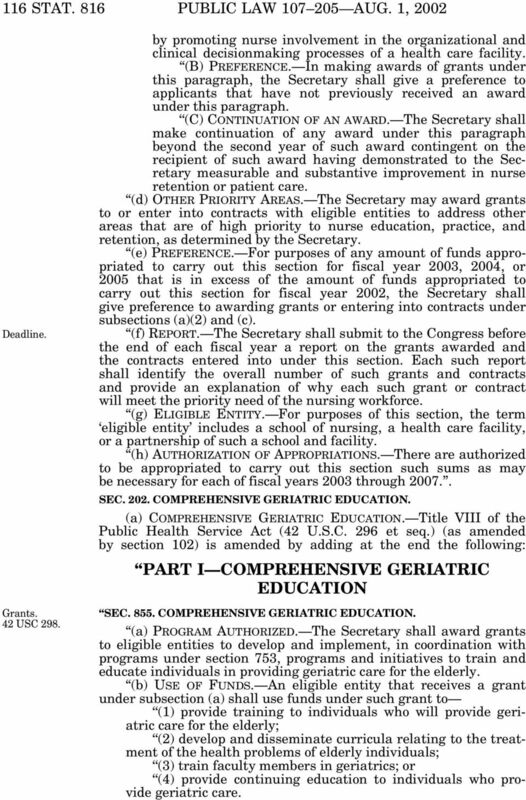 PROGRAM AUTHORITY; AUTHORIZATION OF APPROPRIATIONS. 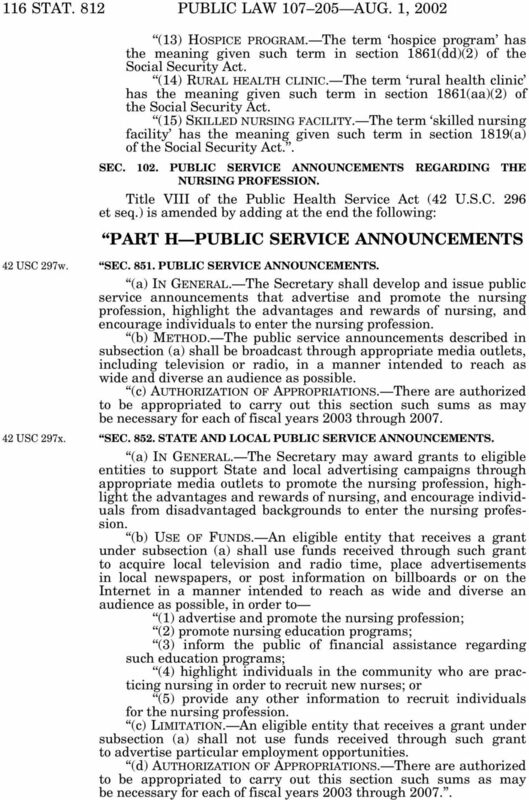 Strike all after the enacting clause and insert the. 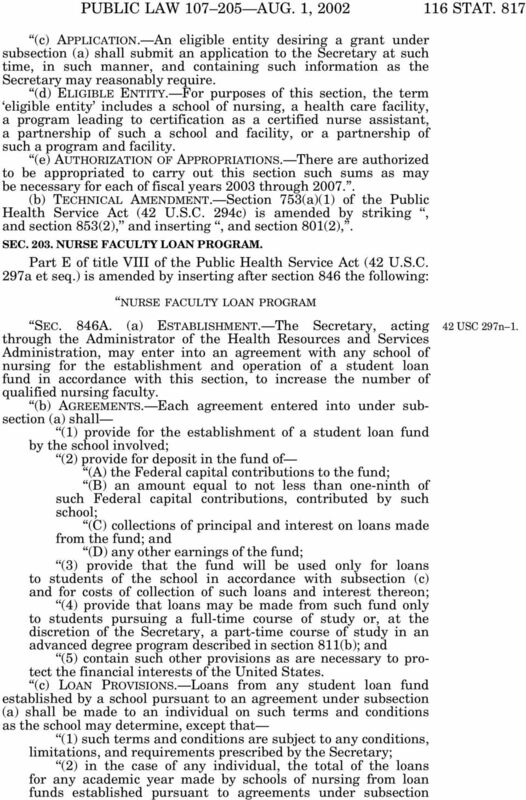 This Act may be cited as the Strengthening Transparency in Higher Education Act. 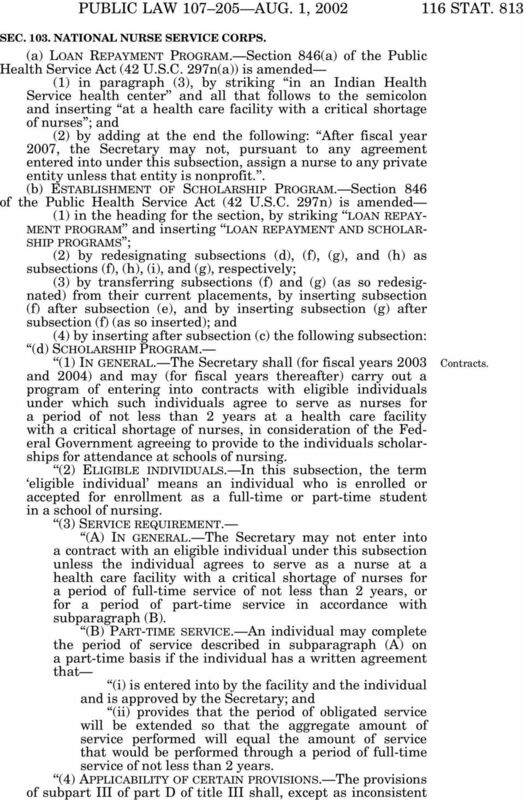 PUBLIC LAW 111 240 SEPT. 27, 2010 SMALL BUSINESS JOBS ACT OF 2010 VerDate Nov 24 2008 17:09 Oct 14, 2010 Jkt 099139 PO 00000 Frm 00001 Fmt 6579 Sfmt 6579 E:\PUBLAW\PUBL240.111 GPO1 PsN: PUBL240 124 STAT. 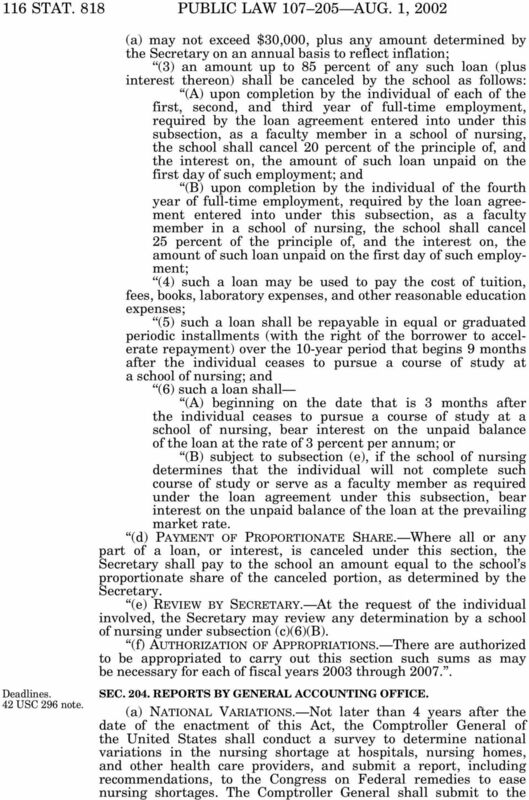 120 STAT. 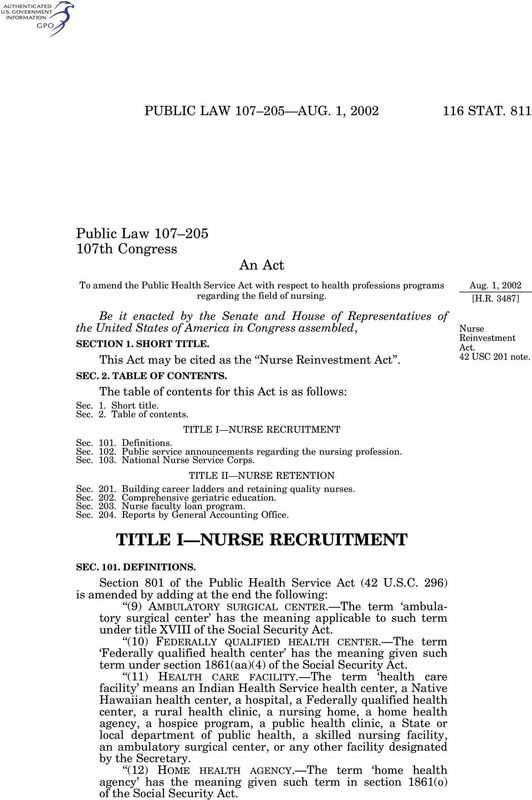 2831 Public Law 109 417 109th Congress An Act To amend the Public Health Service Act with respect to public health security and all-hazards preparedness and response, and for other purposes.